We have successfully defended and acquitted Army soldiers across the USA, including Fort Drum. Check out our case results to learn more. 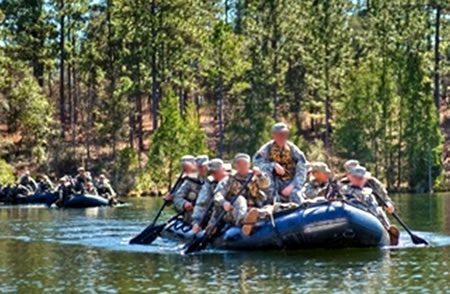 Defendants in military criminal cases face several obstacles that require the legal assistance of the best military defense lawyers that you can find. Almost everyone in the courtroom outranks the defendant, from the Judge to the members of the jury. You can hardly call the jury a group of your peers, when the jury outranks you by several ranks. Although the Staff Judge Advocate should remain neutral and impartial during court proceedings, the fact remains that the Staff Judge Advocate has one goal in mind, and that encompasses making sure you receive the toughest sentence possible for crimes you are accused of. Inexperienced TDS and civilian attorneys wilt under the unrelenting pressure of military prosecution teams, which means the brave men and women that find themselves being prosecuted need to hire the best Fort Drum military defense lawyers possible to defend their rights and their freedom. Our law firm’s founding attorney, Michael Waddington, graduated from Temple Law School is a member of the American Board of Criminal Lawyers. The ABCL is known as one of the most esteemed legal groups comprised of some of the most respected criminal defense lawyers in the country. Membership is by invitation only and is exclusive to highly regarded criminal defense lawyers that have 10 or more years of experience defending criminal clients, during which time they must have defended 50 or more felony cases, and must have won 35 or more jury cases. Moreover, Mr. Waddington was voted a “Super Lawyer” and is ranked Superb on AVVO.com. A few of Michael Waddington’s cases were made into films, such as, “Taxi to the Dark Side.” Our hard-hitting Army military attorneys will use our skills to fight your court martial or administrative separation (ADSEP) case at Fort Drum, NY. Call today to speak with a hard-hitting Fort Drum court martial lawyer. Soldiers stationed at Fort Drum merit the best Army military attorneys available to defend them at their court martial or administrative separation (ADSEP) proceeding. Nestled in the dense wooded areas that define upstate New York, Fort Drum covers more than 105,000 acres to provide a fertile training ground for army recruits. 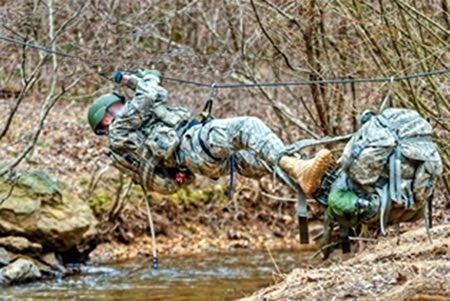 The Jefferson County army installation spreads out over 25.4 square miles of dense wooded areas and rugged undulating terrain. Several villages surround the large army base, with Watertown representing the nearest commercial center that attracts Fort Drum military personnel. The Indian and Black Rivers flow adjacent to the installation boundary. The United States military purchased land in 1908 for the development of Pine Camp. Major General Frederick Dent Grant led an officer team that trained 2,000 regular army personnel, along with 8,000 members of the state militia. In 1935, the largest peacetime maneuvers ever held in the United States unfolded at Pine Camp. Over 36,000 soldiers stayed at the remote Army base to train for what many members of the military considered preparation for another worldwide conflagration. When conflict broke out in Europe and Asia, the United States government rapidly expanded Pine Camp to accommodate more army recruit training. The Army changed the name of Pine Camp to Fort Drum in 1951 to commemorate the military service of Lieutenant General Hugh A Drum. Because of the climate and terrain, the Army eventually made Fort Drum one of the most active Army training bases within the United States. Fort Drum continues to follow its original mission of training and commanding new Army recruits for deployment to hostile regions anywhere across the globe. The army installation provides logistical and administrative support to tenant units, as well as mobilizes on average about 80,000 troops annually. Fort Drum expanded between 1986 and 1992 to account for the installation’s increasingly important role in fighting terrorism. The army constructed 130 new buildings and built 35 miles of paved roads in and around the base. The United States government has Fort Drum on a short list of military installations to become the home of the proposed Eastern United States missile defense system. In 2014, a biofuel plant opened to provide supplemental energy for the Army installation. An aggressive criminal attorney such as Michael Waddington makes the difference between spending considerable time in the stockade and regaining your previously sterling military reputation. Mr. Waddington and the team of Fort Drum military defense lawyers at Gonzalez & Waddington protect clients against frivolous criminal charges. Whether you face disciplinary action for violating the Uniform Code or face sexual assault charges, you can ill afford to place your career on the line by hiring inexperienced Fort Drum military defense lawyers. The dedicated men and women that serve in the United States military need a bulldog such as Michael Waddington to guide them through the legal land mines of a military criminal trial. Contact Gonzalez & Waddington to learn more about our highly reputable Fort Drum military defense lawyers.